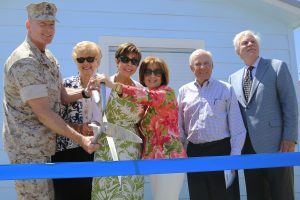 The San Diego Nice Guys and Marine Corps Base Camp Pendleton held a ribbon cutting ceremony to commemorate the opening of two beach cottages at San Onofre Beach, April 17. 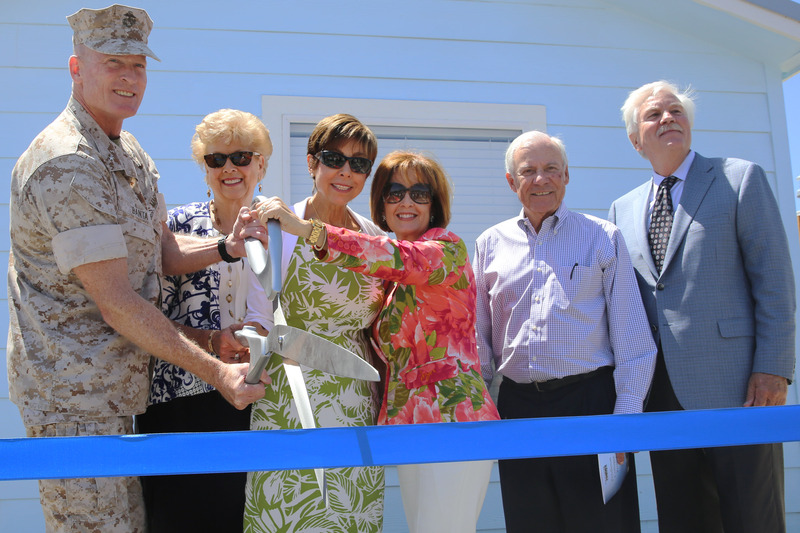 CAMP PENDLETON, Calif. — The San Diego Nice Guys and Marine Corps Base Camp Pendleton held a ribbon cutting ceremony to commemorate the opening of two beach cottages at San Onofre Beach, April 17. The cottages were dedicated in honor of Col. James Williams, an accomplished Marine pilot who served in World War II, the Korean War and the Vietnam War, and Col. Jack Kelley who had a highly decorated career as a Marine infantry officer in Vietnam and was the commanding officer of 3rd Battalion, 5th Marine Regiment. Both officers were members of the San Diego Nice Guys, a volunteer non-profit organization that receives donations that provides aid to local individuals and families in need. The Camp Pendleton Cottage Renovation Project began in 2009 after construction firm Hedges Construction was contacted by a couple who wanted to support Camp Pendleton by replacing the deteriorating cottages at San Onofre Beach. The new cottages are fully furnished, have a kitchen, a living room, a bedroom and a front porch overlooking the beachfront. Hedges Construction and the San Diego Nice Guys are still continuing their efforts to replacing the remaining twenty-one cottages at the beach. The Camp Pendleton Cottage Renovation Project puts emphasis on providing accessibility and quality-of-life comforts to veterans with disabilities. This article originally appears on the Official Marines website here.